Residents of Park Slope are frustrated continuously by pest infestations. With pests like rats, roaches, and bed bugs on the rise, the need for a pest control service is even more in demand. Many people turn to store-bought products or DIY methods claiming to be able to rid you of pests. But the truth of the matter is that most of them do not work. At best they will offer you only temporary relief. In worst case scenarios, if you’re handling harmful chemicals or insecticides, they could end up harming you. To exterminate a pest infestation, you have to eliminate the source of the problem for long-term relief. A trained professional with years of experience will be able to do that. There are three things ants will come into your home looking for: food, water or shelter. A home can provide plenty of all three of these. The biggest obstacle with ants is the large amount of them. A single colony can consist of literally thousands of them. No matter how many you kill on sight, there are hundreds more in the colony that will come in afterward. The key is to eliminate the colony itself at the source. One of our technicians will be able to pinpoint the exact location and root out the problem. Some tips you can follow to help you minimize your chances of attracting ants. Always clean up any crumbs or food particles after eating. Keep leftover food in the kitchen and pantry in tightly sealed containers. Even just a crumb or two can attract a few ants, in turn bringing in many more. In some cases though, especially in the summer, they are unavoidable. 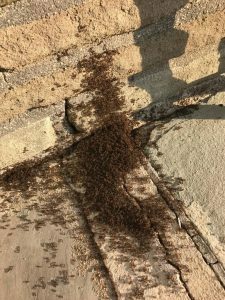 In these instances turn to a professional ant removal expert to get these pests out of your home for good. Among all the pests in Park Slope, this one may be the most feared. Just for the simple fact that they are nearly impossible to detect on your own. Even worse, you can get them from almost anywhere. From a hotel room to a movie theater to a gym locker. A bed bug will simply hitch a ride on your clothes, and you unknowingly bring them into your home. Once inside they make their way into the cracks of your wall and crevices of your mattress and box spring. One sign you can look out for are itchy, red welts on your body. If you find yourself waking up with these on you, it’s almost certain you have a bed bug infestation. As difficult as they are to detect, they are even harder to get rid of on your own. 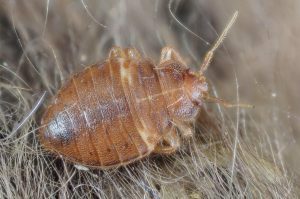 Our bed bug exterminators use a highly effective heat treatment that will penetrate their hiding spots. This treatment not only kills the bed bugs you already have, but also any eggs left behind preventing any future infestations as well. This method requires very little preparation or inconvenience to you. It’s debatable as to which pest is the most disgusting, but we’ve found that a majority of people find cockroaches top the list. These pests are notorious for infesting many areas throughout New York City. The thing to remember about them is that just because you see only one or two around your place don’t assume it’s no big deal. Roaches never infest an area a couple at a time; there are always a lot more not too far away. 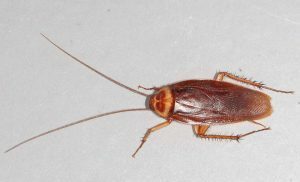 Cockroaches are nocturnal, so they’re not active during the day. If you’ve noticed when you turn on the light to discover them, they immediately scurry away out of sight. It means that there are a lot more hiding somewhere. Sometimes in your walls or basement, but a professional cockroach exterminator will be able to track them down and get rid of them. Leaving them to live around you over some time can cause numerous illnesses and diseases. Also, they can cause breathing problems in asthmatics. With so many types of stinging insects such as honeybees, wasps, and hornets, it may be difficult to tell which is which. They all build hives and nests around your home, sometimes in places you wouldn’t even believe. Unless you are professionally trained in bee identification or removal, don’t even think about attempting this task yourself. 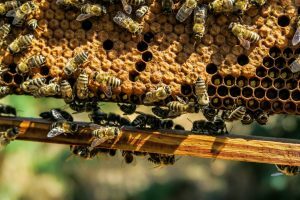 Honeybees are harmless, but if you have wasps or hornets on your property, you could be putting yourself and your family in danger. Without proper training, you simply don’t know, and it’s not worth the risk. A bee sting is obviously painful and causes swelling, but if you are allergic to them, a bee sting could be life-threatening or potentially fatal. Many people don’t even know if they are allergic until they are stung. Don’t take that chance! Similar to cockroaches in that there are huge populations of both in New York City. Also, they both scavenge through garbage and sewers picking up bacteria which they can then spread the disease to people. Rats and mice can make their way into your home through even the smallest of openings. Never assume a gap or hole is too small for a rodent to fit through. When they get into your home, they can nest and quickly begin to reproduce. Before you know it you have a full-on infestation on your hands. Contact a rat removal expert to get them all out, and keep them out for good. 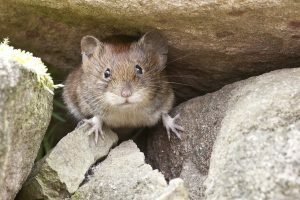 We will also locate any potential entry points rodents may be using to get into your home. Those we will seal off to prevent any future infestations from happening. If you are in need of a pest control service in Park Slope call Bugged Out Pest Management for professional pest extermination. We will work with you to put together a customized plan to eliminate your specific pest problem. We will address your problems, concerns, and budget. Contact us for a consultation.